Steve Spurrier resigned as South Carolina’s football coach on Monday and is almost surely done as a college football head coach. 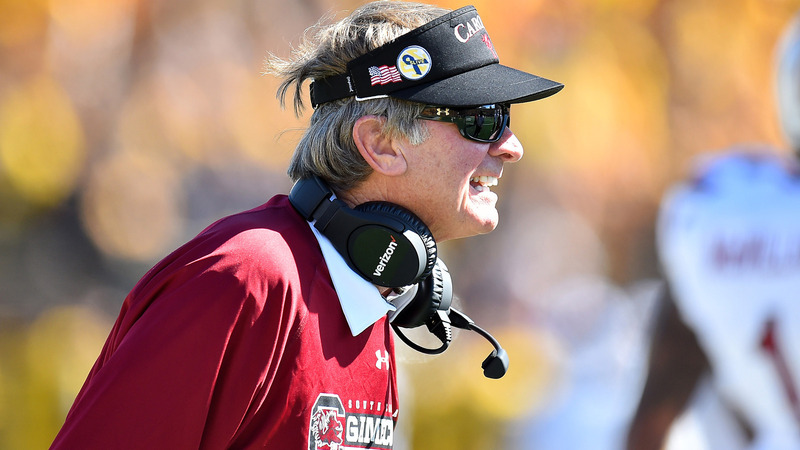 The 70-year-old spent a decade in Columbia, coaching the Gamecocks from 2005 to 2015. While South Carolina was Spurrier’s last stop as a college football head coach, he’ll be remembered more for what he did at his second stop — Florida. Spurrier led the Gators from 1990 to 2001, winning a national title in 1996. The Miami Beach native was also an athlete at Florida, winning the Heisman Trophy in 1966. Florida’s video production team has released a two-minute video tribute to Spurrier, who won 122 games with the Gators as a head coach and was a two-time All-American as a quarterback.